An ancient city dotted with hundreds of temples, including the largest religious site in the world, all of which was forgotten about until the last century. The lure to discover the temples of Angkor is strong. 3 days is actually the perfect length of time to explore Angkor Wat and the surrounding temples. 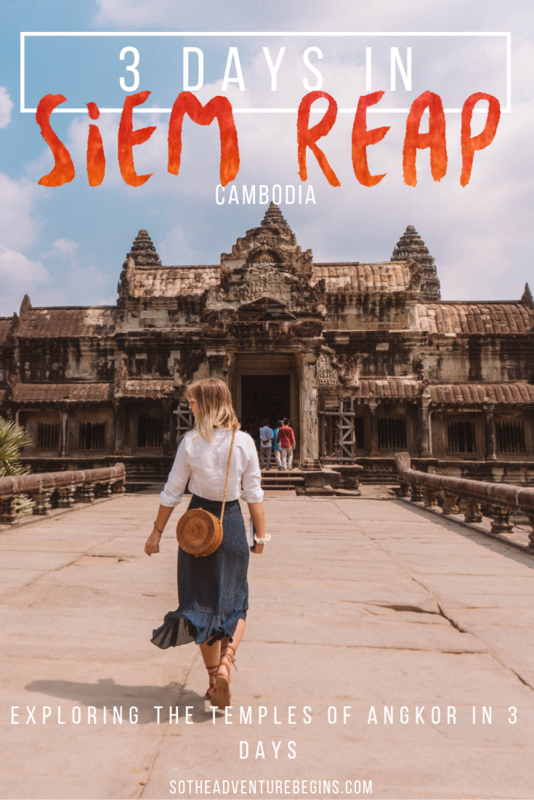 Here is an itinerary for how you could spend 3 days exploring the temples around Siem Reap! Looking for information on something in-particular? Click to jump! We arrived late in the afternoon on our first day in Siem Reap, which meant we didn’t have time to venture out to the temples. Instead we went to the Angkor National Museum. This really set the scene and helped us to spot points of interest when we got to the temples, despite not having a guide. Can you skip it? If you’re going to skip anything I would make it the museum over a temple, but we did find it really insightful. Our first day in Angkor started a little slow as we were sluggish from traveling, so we decided to head out for a lazy breakfast. We chose Joe To Go, a longstanding Siem Reap cafe which donates profits to local NGOs. The food was great and the staff so kind (the potato hash with eggs was the best fuel to start our day). Don’t be fooled that in only seeing 3 temples you’re not going to have a busy day. These temples are huge and take time to explore. We spent 2 hours just at Angkor Wat! 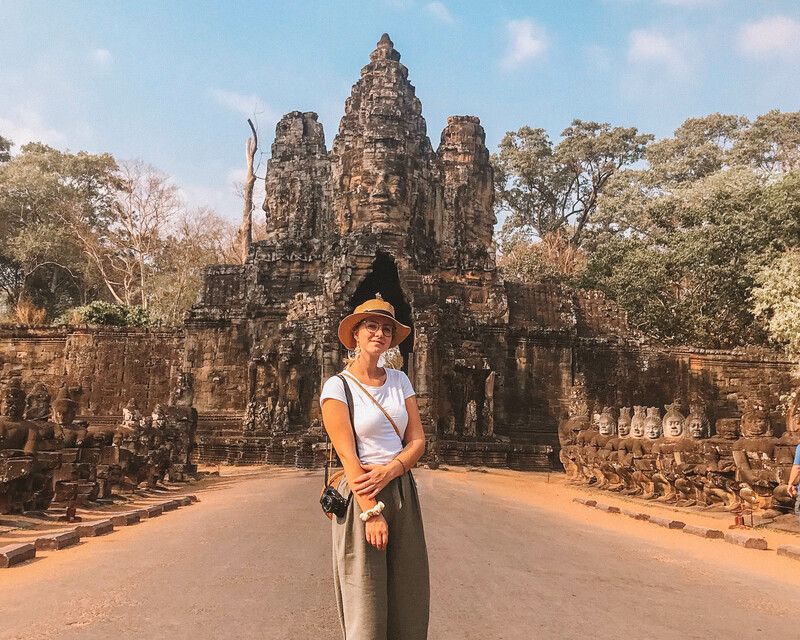 If you’re feeling ambitious then it’s easy to add other stops onto this day as the small circuit route passes other sites like the iconic entrance gates to Angkor Thom (the ancient walled city that was located here), the Elephant Terraces and numerous temples. We decided to stick to the big 3 and added these stops onto our second day exploring Angkor instead. 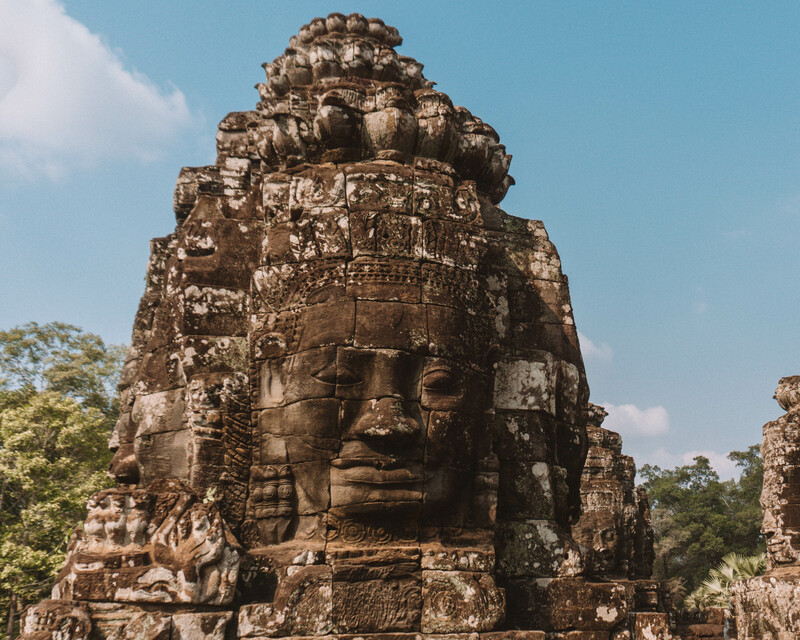 NOTE: The heat and humidity of Cambodia is unforgiving so pack accordingly for your day – bring sun lotion, a hat and small notes for buying lots of water! It will take the energy out of you, especially on day 1. Price: The small circuit should cost somewhere between $15-20 for a tuk-tuk. I recommend asking your accommodation to set you up with a reliable driver as it is hit or miss picking up a driver on the road. Duration: We spent approximately 6 hours doing the small tour. Must see sites: Angkor Wat, Bayon temple, Ta Phrom temple. As on day 1, we started our day slowly, already have rejected the idea of getting up for sunrise at Angkor Wat on this vacation. On our second day we decided to do a variation of the grand circuit, which takes you on the larger ring road around Angkor (like a bigger version of the small circuit). There are so many that you could stop at along the way, but we just decided to pick a few having read a little bit about what makes each temple special during breakfast. We headed to Phnom Bakheng at the end of our grand circuit in order to watch the sunset. Phnom Bakheng is a temple at the top of a small hill, giving it a panoramic view of the sunset with Angkor Wat visible in the distance. You’ll need to head to Bakong temple around 4:30 for sunset as they only allow 300 people into the temple for this spectacle. Price: The grand circuit should cost somewhere between $15-20 for a tuk-tuk. If you opt to stay out for the sunset then you will probably have to pay an extra $5. As before, I recommend asking your accommodation** to set you up with a reliable driver for this. Duration: We spent approximately 7 hours exploring temples on the grand circuit. Day three and for our last lazy morning we headed to Brother Bong Cafe where we indulged in waffles and fruit. This was such a lovely cafe with really nice atmosphere and lots of veggie/vegan friendly options. On day 3 my mum and I decided to venture away from the busy temples of Angkor, in search of something a little more peaceful. Well, we found just that in exploring a trio of pre-angkorian temples in the nearby town of Roluos. 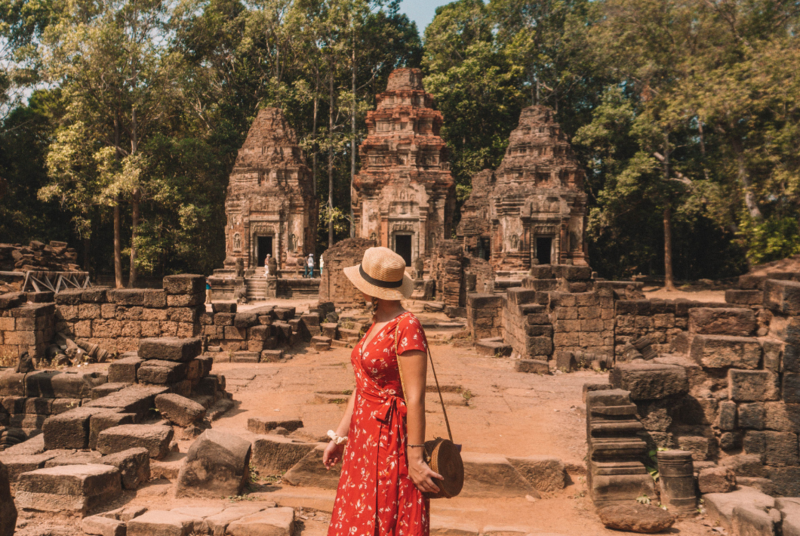 These temples were built in the 9th century, whereas the temples of Angkor from day 1 and day 2 were built in the 11th century, making these some of the oldest temples in Siem Reap. This was such a nice way to escape the crowds and do some slower exploring. Plus the temples here are a little smaller than the famous temples of Angkor making them a little bit more manageable to understand and learn about. We finished up our third and final day in Siem Reap by heading back into Siem Reap to visit the War Museum. I would urge every visitor to Cambodia to educated themselves on the war history. Admittedly I have only scratched the surface watching a few documentaries, and reading a few books (try “First They Killed My Father” and “Lucky Child”). Cambodia is undoubtedly one of the strongest countries I’ve ever been to, with the most resilient and welcoming people. It’s hard to learn about the Khmer Rouge and the utter destruction, mass murder and abuse that Cambodians were put through, but beyond worth it. Ticket sales go back into the detection and removal of unexploded landmines through the country (of which there are estimated millions left), as well as supporting survivors. Price: $5 (cash only) plus a tip for your tour guide who will be able to share the most valuable information with you. 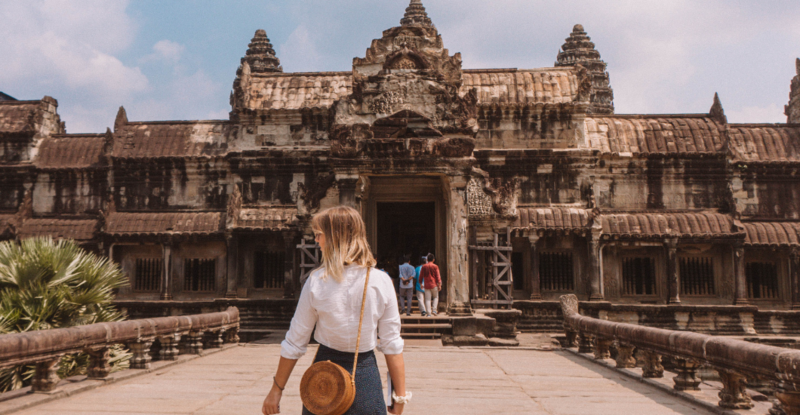 What a valuable resource for people planning their trips to Angkor Wat! I wish I had this when I visited in 2015, will be sharing this with all my friends! Ahhh Millette you babbbbe! I know! This is exactly what I needed when I went in 2016 so about time to put my own take on Angkor WT out there! !